More than two dozen concrete culverts will be constructed along the Linden/Lethem road as the Ministry of Public Works continues to upgrade the 276-mile thoroughfare. Extensive bush clearing will also be done, the Ministry of Public Works announced yesterday. The project is being carried out to protect the road prism from damages and guarantee visibility for road users. Works have begun from 84 Miles to 276, according to Naeem Mohamed, an engineer overseeing the project. From Linden to Omai Turn Off (Miles 0 to 65), construction firm, Metallica, will grade and compact deteriorated sections with laterite. Likewise, Demerara Timber Limited (DTL) will maintain from Omai Turn Off to Siparuni (65 Miles to 84 Miles). The Ministry disclosed that Mekdeci Machinery and Construction is currently working from Siparuni Junction to Kurupukari, which stretches from 84 Miles to 135 Miles. The construction firm is tasked with clearing bushes, stabilising sections with cement and the installation of 10 concrete culverts. JR Ranch Company will be carrying out similar works from Kurupukari to Annai (135 Miles to 200 Miles). From 200 Miles to 276 Miles – Annai to Lethem – V. Dalip Enterprise will be executing works including building up low lying sections, clearing bushes along the carriageway and installing 15 concrete culverts. According to the Ministry, it will shortly erect traffic signs along the road, and by March next year, all works will be completed. 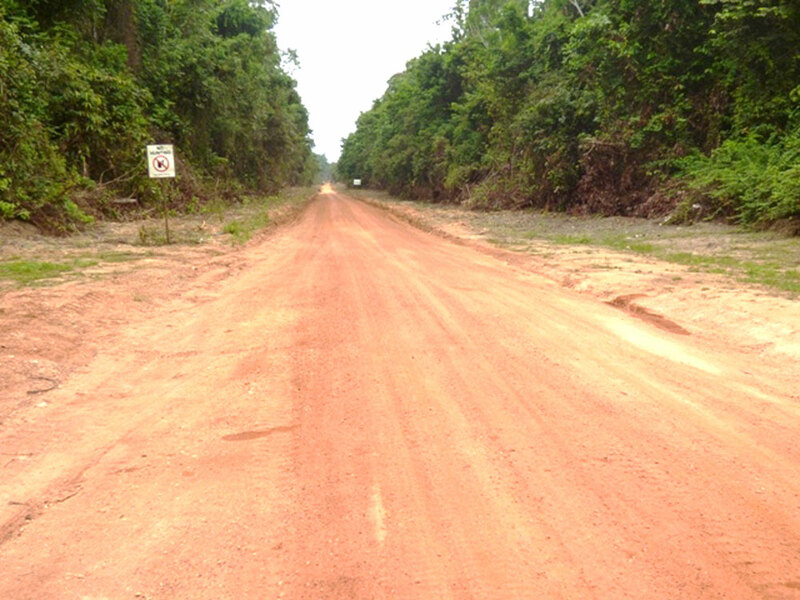 The engineer pointed out that the Linden/Lethem road remains a critical link, with Government spending millions every year to sustain it. He said that phase one of the project, which concluded in mid-November, included critical sections which were resurfaced, reducing the travel time from 13-plus hours to now seven. For the second phase of the project, approximately $257M has been allocated.